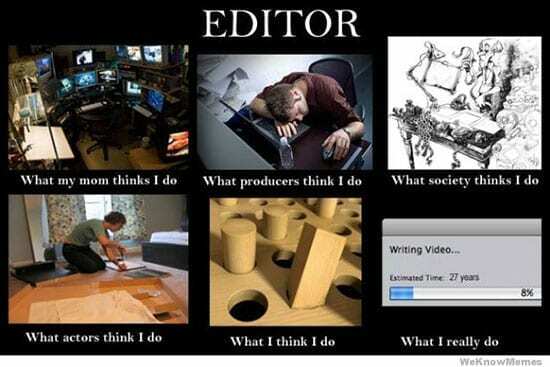 As we all know, editing a huge part of what we do as filmmakers and video production companies. 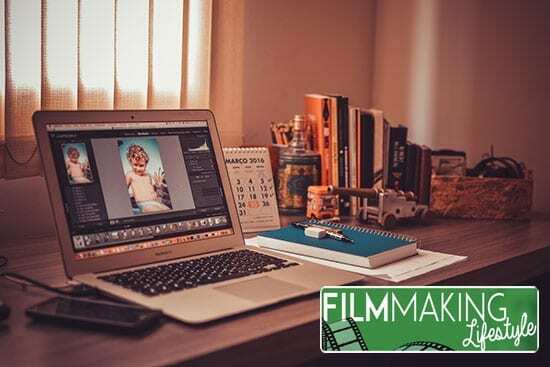 Learning to maximize your time in the edit and knowing the dos and don’ts when it comes to working on client projects is a must if you want to have a video business that resembles a well oiled machine. Today, Gio Orellana looks at editing client projects. Working with clients can be a nerve-wracking experience, or it can be a blissful co-existence. I’ve looked into my past experiences to figure out what made my experiences peaceful and I’ve gathered them in a helpful 10 point list. After every round of notes, make a new sequence. This will help you to become more organized and to prevent you having to rebuild any edits if the client wants you to go back to a previous version. Usually, they’ll at least consider your input. Just make sure to pick your battles wisely. If you’re pressed for time, and you need to shave off a few seconds, don’t be afraid of taking out chunks. The key is to make it still flow and keep the scene from being jarring. I was constantly making spelling mistakes and the client kept finding them. It was embarrassing. Always have someone else double check your work if you don’t trust yourself. Make sure everything is centered, everything is dotted, spelled correctly. Even if it’s a little bit off, go ahead and move it until it’s perfect. There’s a reason the client is the client paying you lots of money, and you’re the contractor. Putting a timecode on your work will help the client mark precise moments where they need changes. If you don’t, you’ll get feedback like, “do this after this moment when this happens,” or “right after this happens,” and it’s confusing when whatever they mention actually happens twice. Try to always place a watermark until you’re comfortable that the client won’t run off with the video. One of our first clients cropped the video so that our watermark was out of the way. So now I make sure to mark the four corners of the video, and the center, which is the most important mark. The best way to deal with clients is to always cultivate easy communication. They also appreciate timely responses so get back to them as soon as you can. Set up deadlines and expectations for when you’ll have the next cut. Stick to them. WeTransfer is the best way to send temporary files, and you don’t have to waste space on your Google or Dropbox drive to send the files to clients. You can use WeTransfer to send download links to clients. It makes it easy to send samples, test clips and finished projects over the internet for client review. The only thing is that the link lasts just 2 weeks, so if you need to resend the file, you’ll have to reupload it. However, that’s never been the case with any of my clients and I doubt it’ll be the case for yours. Then I go draft_v2, v3, etc. Usually there’s a good chance they will find something else to fix and you’ll have to send version 2.0 of the final video. If you have any client editing suggestions, please let me know, I’d love to hear ’em out. 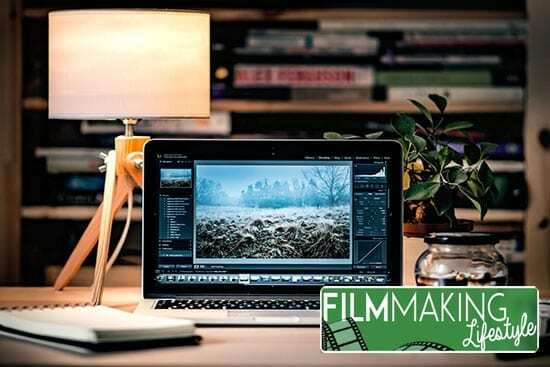 Also, if you want to learn more about editing and film tips, check out my blog. We hope you’ve found this article by Gio helpful when editing client projects and that’s it’s offered you some tips whether you’re already working with clients or considering doing so. Drop any questions, thoughts or ideas in the comments section below. We’d also be happy if you could share the article with friends and colleagues using the share buttons just below this article. Thanks for the comment, Ildikó. I really like how you phrase that. If someone is wrong, saying why first, and then suggesting the solution usually works out really well. I love that you don’t say to tell them wrong to their face, but, instead, to tell them what you know to be right. Yeah, using tact and verbal jiu-jitsu is key, Jay. When I look back, 95% of problems were created by lack of communication (of one kind or another). And 95% of problems were solved by communication.